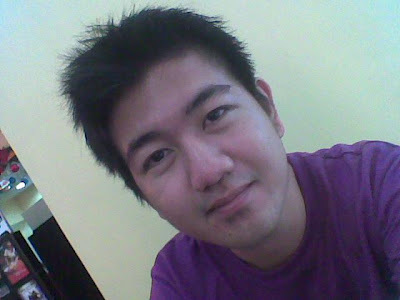 My friends, Jabey and Dennis invited me to join them in going to the Mall of Asia (MOA) yesterday. We decided to push through with it eventhough we're only three. Our other friends, Jil and Elbert have other plans in another mall. Although later in the afternoon, they surprised us by joining us in MOA. We left Marikina at around 10:00 AM (thanks to Dennis for being an hour late). We were actually supposed to leave by 9:00 AM. We took a jeepney going to the LRT 2 station in Katipunan and from there we went down in Araneta Center Cubao to take the MRT going to Taft Avenue. From Taft Avenue, we took a shuttle service going to MOA. It was quite a series of rides but since it was Sunday, we were comfortable inside the LRT and the MRT. We were in MOA by 11:30 AM and the first thing we did was to argue (it was actually a friendly argument) on where we will have our lunch. I want to eat sashimi but well the special child (it's a joke... he's normal), Dennis wants to have chicken. I won't be surprised if one day he'll get wings of his own and probably some feathers. So we agreed to eat in Max's Restaurant. It was full packed but we were lucky to be seated immediately. I had chicken, rolls with butter, pancit canton and iced tea, same with Jabey but he had rice instead of rolls. Dennis had a huge half chicken, soup, 2 orders of rice, iced tea and ice cream for dessert. Whoa!!! what an appetite!!! I really got sick of watching him finish the chicken. After the really sumptuous lunch, they toured me inside the mall. They kept on kidding me since it was my first time to be there. We went hopping from one store to another looking for something to buy. In the end, it was only Dennis who bought a shirt. Though I really had a good time with them. Jil and Elbert joined us at around 2:00 PM. 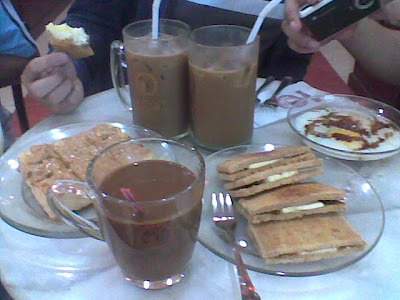 After the tiring window shopping, we decided to have coffee in "Kopi Roti". I haven't tried their coffee but I have tried the "Kopi Bun" which is really delicious but it's quite sweet for those who are watching their sugar. We tried the soft boiled eggs with soy sauce and a pinch of black pepper and their "Kaya Toast", the "French Toast" and the "Peanut butter Toast". I really enjoyed the peanut butter toast. The others are just okay. I like my own french toast recipe hehe. All in all, It was a fun-filled experience, especially since I was with my friends. 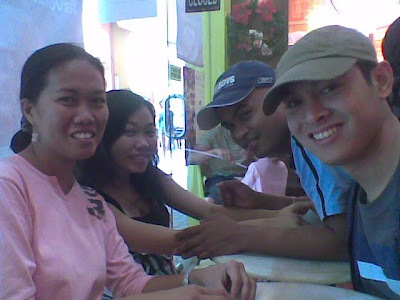 We really had a great time with each other and we were already planning on our next visit to MOA.